DAWSONVILLE, Ga. – Dawson County Chamber of Commerce President Christie Haynes presented an update of the Chamber and Office of Tourism Development activities at Thursday’s Board of Commissioners meeting. Eighteen young people graduated from the Chamber-sponsored Leadership Dawson in April. Haynes continues to be honored for her work with the Chamber. In 2015, she was only the second recipient of the Young Alumni Award from the University of Georgia. 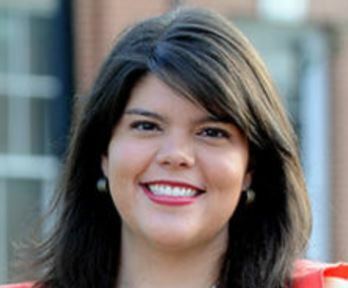 Within two years of graduation she became the youngest president of a Georgia chamber. She is a 2012 UGA 40 Under 40 honoree, and is a past president of the School of Public and International Affairs Alumni Board. This year, she received the coveted Georgia Certified Chamber Executive award. 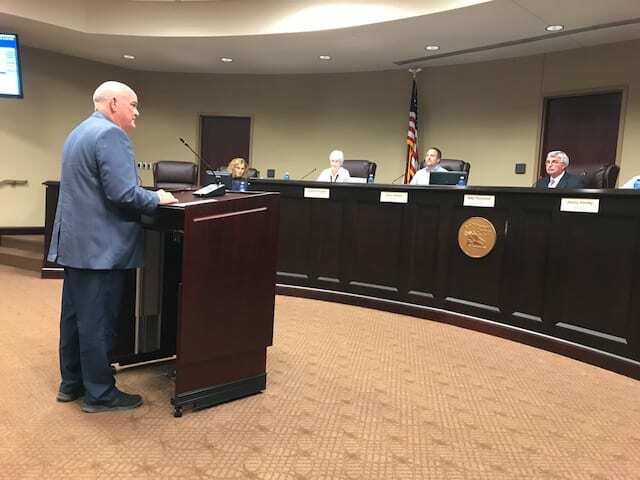 DAWSONVILLE, Ga. — The Dawsonville City Council heard presentations from the Bill Elliott Dawsonville Distillery, Dawsonville History Museum and Chamber of Commerce during its work session Monday. Council also considered its meeting schedule for 2017 and appointments and mayor and council board member designations. Dawson Chamber of Commerce President Christie Haynes gave the Chamber presentation, outlining the organization’s structure and activities in 2016. The Chamber now has 437 members and held 24 ribbon cuttings for new businesses like The Purple Corn Boutique, Turner and Pooch Grooming and Outside the Lines Art Studio this year. They also conducted seminars and activities to assist local businesses in maximizing productivity and profitability. Haynes said the Chamber is planning to add one new employee soon and is currently working on plans to celebrate its 40th anniversary in 2017. Representatives of the Dawsonville Distillery said two new products were introduced in 2016 and there will be more releases in 2017. The business now has online sales through a third party and has hired one new ‘moonshiner’ They also are the presenting sponsor for KARE for Kids — an organization whose focus is providing opportunity for every child in Dawson County to have the Christmas they deserve — at the Moonshine Festival and the sponsor of No One Alone, a non-profit organization providing emergency shelter for women and children who are victims of domestic violence. 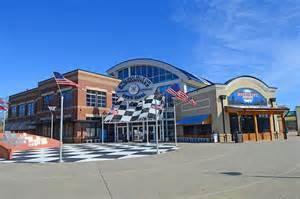 Sosebee added that the GRHOF was featured in a CMT special this year and he said there is a major event coming up in January that should attract more visitors to Dawsonville. Council also began preliminary discussion of a historic preservation overlay district ordinance. « Previous Article Georgia State Patrol sends warning on placing homemade/advertising signs - It is illegal and will be enforced! DAWSONVILLE, Ga.–The Dawson County Chamber of Commerce is launching a luncheon series geared specifically to aid local non-profit organizations. Connect Dawson, hosted by the Community Development Committee of the Chamber will kick off its first luncheon in the series Tuesday, August 16 at 11:30 a.m. at the Professional Development Center. With more than 80 nonprofit groups in the area, Community Development Committee Chair Regina Varnado said she feels there is a great value in the seminar series. The August 16 luncheon will be led by Cheryl Vandiver and Blair Diaz of the North Georgia Community Foundation. 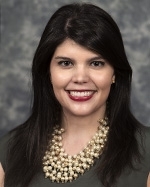 Vandiver serves as the director of operations for the foundation and Diaz is a certified public accountant. Topics covered in the luncheon will be nonprofit board development, fiscal management, accounting procedures, legal issues and general responsibilities. The cost of the luncheon is $10 for Chamber members and $15 for non-members. To register, please call 706-265-6278 or email b.mason@dawson.org.